In this series of articles we’ll acquaint you with the amazing team of Nanobot Medical Animation Studio that transforms projects into digital masterpieces (not bragging, just being objective). Everyone enjoys watching quality videos that not only inform but also entertain and amaze, especially when high technology like VR, AR or Fulldome are used. Usually people think that 3D animation is easy because there are lots of professional software and skilled professionals who create those videos in one click. Well, it’s not. 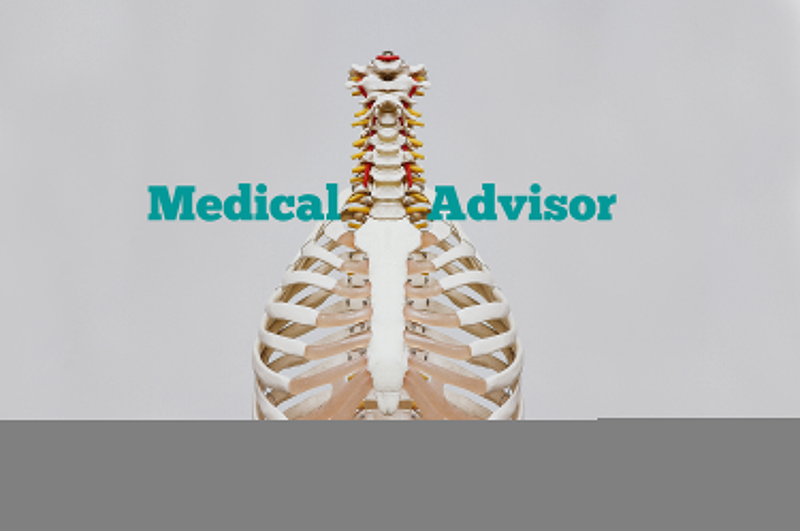 Today we’ll look into the role of our in-house medical advisor. By producing scientifically accurate 3D animation we take a huge responsibility for the content that we provide. That’s why we have a full-time medical advisor on our staff who makes sure that every object and process depicted are medically valid. 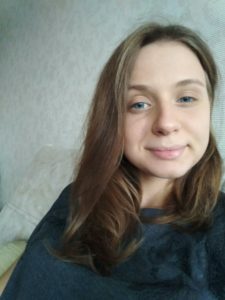 Enough of long introductory speeches, let’s get straight to the juicy details and meet Olha Vizhevska, our medical advisor that works in the Production department at Nanobot. I was able to catch Olha during lunch time to bombard her with questions about her job. I (Interviewer): Hi, Olha. Thanks for sacrificing some of your precious lunch time for our interview. 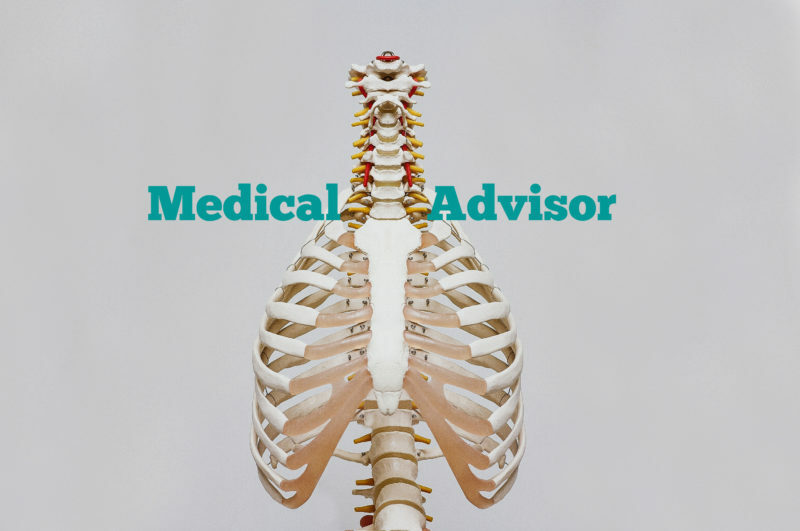 Medical Advisor is a very responsible role. Can you tell us a bit moreabout how you ended up working at the medical animation studio? O (Olha): Hi, Alyona. 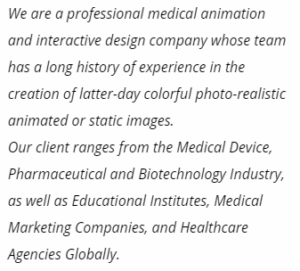 Well, it was quite unexpected because I had no idea of how medical animation worked until I came across an interesting job offer on the Internet and decided to give it a go. After the job interview I was eager to start working at Nanobot Medical as it was the place where I could combine my scientific knowledge with creativity. I: Can you tell us more about your responsibilities and the role of creativity in them? I: What about the management part of your job. How do you get the initial orders for the scripts? O: Usually I get a brief from the client where they roughly describe what goals they want to achieve, and how they see the final product. Most often than not, this stage is the most challenging because sometimes clients don’t have the slightest idea of how their project should look and what it should communicate to the consumer. Then we have a brainstorm session with project manager, 3D artist, and animator to help the client realize their idea. I: Sounds like a lot of work to do. Then the next logical question would be, what elements of your job do you find most difficult? O: I would say generic projects, the ones which are very similar, but I still need to come up with a completely new way of their realization. It’s all about finding different connections between the same things. Even though it’s no easy task, by overcoming these challenges and creative successful projects I feel that I grow and develop as a professional. I: What was the most interesting project that you worked on? O: Probably the one, where we had to create an ad for a medical drug with doctors being the target audience. It was the first time when the client decided to approach the project with a good deal of irony and jokes. Our team truly enjoyed working on that video because who wouldn’t enjoy having fun being a part of their job. 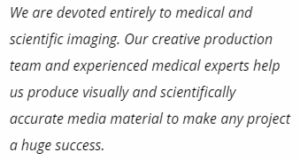 I: Thank you for sharing your experience of working as a medical advisor at the medical animation studio, Olha. 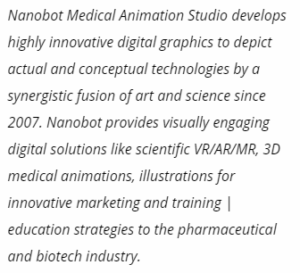 Hope that our readers will get some interesting insights in the inner workings of Nanobot Medical Animation Studio. The post Behind the Scenes of Nanobot: People Who Turn Ideas into Projects. Medical Advisor appeared first on Nanobot Medical Animation Studio.